The central govt. is trying its best to have maximum financial inclusion of citizens and have launched the JanDhan yojna for getting a bank account for all. City based Mahesh Foundation in association with SVC bank RPD corner did an amazing CSR activity by telling the kids of Mahesh Foundation’s Aadhar orphange about what a bank is and how it works. 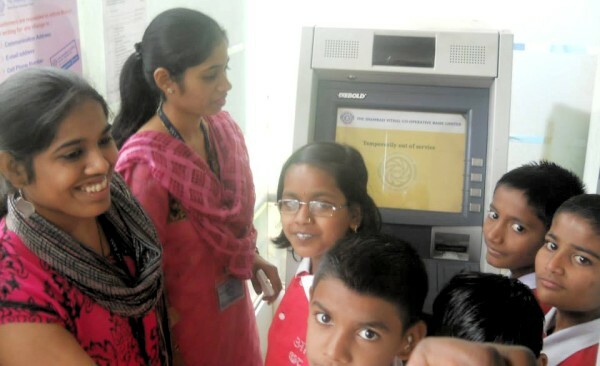 The Banking Awareness Programme for the children of Mahesh Foundation was the first of the many the bank has planned. All the children actively participated in this programme by asking each and every doubt which they had in their mind. About 35 Children attended tis programme. Mahesh Jadhav of Mahesh Foundation said “SVC bank approached us for such an exercise and we were very happy to get the children to know about banking. Such exercises for the children would give them knowledge at an early stage which will eventually help them is saving money and also utilizing it the correct way. Great initiative! Mahesh Jadhavji keep up the good work.